Please tell me you've heard this insane song. 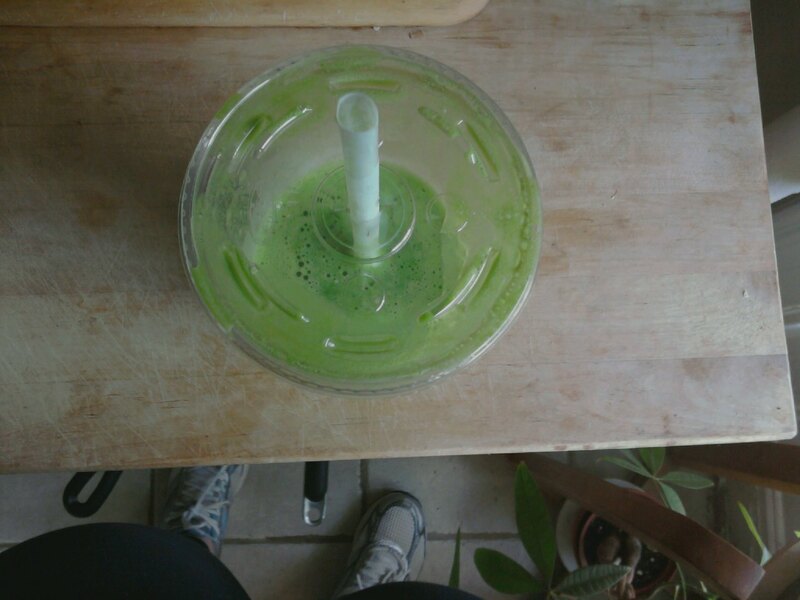 There is a WONDERFUL juice bar in my neighborhood - Veggies Natural Juice Bar. It's a tiny little hole-in-the-wall with an inspiring poster of Bob Marley "Just can't live that negative way..." and some awesome selections in the flavor-combination department. Last time I went, I co-invented a peanut butter-banana-strawberry smoothie with the server. It was delicious and kind of like a sandwich milkshake. With almond milk. Nothing better than a nice early-morning jaunt in the park followed by an ICY BRIGHT GREEN SPICE BLAST. Highly, highly recommended - next time you're in Crown Heights - or at your own blender! Men who may or may not be reading here: they have a special menu for "GROWN MEN." One smoothie is called "stand upright" and has something called tiger bone in it.